Topic Area G covers the institutional processes of developing and implementing transport plans and policies at local, regional and national levels. It includes consideration of institutional structures, stakeholder involvement, decision-making processes, objective setting, problem identification, strategic option generation, the application of predictive models and appraisal methods to policy assessment, identification and resolution of barriers, implementation and policy transfer addressing also transport policies for tourism and mass events and emerging policy issues. Public transport planning and policy is part of this topic area. The SIG also aims to share practical insights and theoretical and methodological advances with the wider research community. This will be done through open session tracks at WCTRS, and seminars and workshops outside of conference. An important aim of the SIG is also the facilitation of dialogue, learning and engagement between policy and research communities, and therefore the SIG will aim to develop partnerships with a range of organisations such as the International Transport Forum. This SIG is still in development, having only been officially established in August 2015. Our inaugural meeting was held at the 14th WCTRS conference in Shanghai in 2016. This meeting included presentations from Steven Perkins from the International Transport Forum and Moshe Givoni from Tel Aviv University. What are the often hidden assumptions that guide policymaking? How are policy problems framed and what implications do these understandings have in practice? Are governance networks agents of or brakes on change? Does smart mobility risk the privatisation of transport? What is the politics behind project selection? Is there an inherent political bias towards creating more (and bigger) infrastructure? How do we address inequalities in decision making? Including addressing the gap between the people and decision-makers, and politicians and experts. How can we bridge the gap between technological innovation in tools of governance (e.g. evaluation tools) and what policymakers want/are able to use? 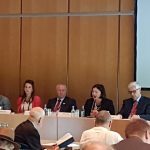 May 2017 – In May 2017 the SIG G1 ran a research day in conjunction with the International Transport Forum on Governing the Smart Mobility Transition and a special session at the ITF Summit on Scenarios and the Smart Mobility Transition. The event brought together around 50 people from academia, industry, government and the third sector. The programme for the day can be found here and the Abstracts here. You can also download the slides for all of the presentations here, and a summary of the key findings from the research day here. The slides from the scenarios exercise can be downloaded here and the write up summarising the key points from the panel discussion can be downloaded here. A book bringing together the highlights from the Summit activities has been commissioned and should be in print in early 2018. July 2016 – WCTR 2016. Our first session track was at WCTRS 2016 in Shanghai. Our track included 24 papers from across the world, and covered a wide range of important governance questions; including how to move away from the ‘build it or don’t’ infrastructure paradigm, through to how to develop a participatory planning approach, and how sustainability is operationalised in EU policy. The primary objective of this SIG is to advance knowledge in national and regional transport planning and policy-making, aiming to improve the economic, environmental and social environment in regional, national and also global scale, both regarding passenger and freight transport. By gathering state-of-the-art research outcomes as well as information arising from practical works, this SIG intends to gather outstanding transport experts to promote studies in this field. Reflecting the development of latest technologies and services such as autonomous vehicles, shared forms of transport, concept of MaaS, and so on, this SIG will intensively discuss how these emerging types of transport will have impacts on regional and national transport policy-making and planning in the coming period. Continuing the activity from the previous WCTR in Shanghai, SIG G2 is trying to gather the knowledge on the development of national transport policy. In the last period, we gathered the knowledge from France, Germany, Hungary, Japan, and Austria. We continuously welcome research papers dealing with this topic from other countries. In recent years, a wide range of research has been carried out to understand transport-related issues, challenges and impacts, and these have become more obvious. A series of transport masterplans and policies have been developed and implemented at a regional, national and international levels, while a good overview in an international scope is still on progress. Good understanding of them is also necessary to make the current practice of long-term transport planning and policy-making adaptable for technological advancements that will impact mobility and transport. 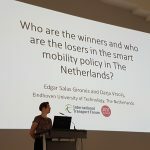 In parallel, technological advancement and new concepts of mobility services gathers interests, and partly start to have a certain impacts on transport policy-making and planning. In a long term, when advanced technologies such as autonomous vehicles are available, transport planning and policy will have to be ready for such technological advancement in order to mitigate negative impacts of them while making use of their advantages in the society. While transport planning and policy has been already established as a research focus within the WCTRS, nowadays organised as the SIG G3 Urban Transport Planning and Policy (formerly SIG 10), the regional, national and international perspective are not explicitly addressed in the WCTRS. SIG G2 was launched to fill this gap to advance the knowledge in regional and national scale. The aim of this SIG is to provide planning and policy for both passenger and freight transport at both the national and regional level. It includes all transport modes that contribute to national and regional economic development, climate change and quality of life. The core activities of this SIG consists of two types, workshops and the session track SIG G2 in WCTR conferences. We organise dedicated sessions focusing on the topic of national and regional transport planning and policy in the WCTR conferences. The SIG will also seek opportunities to promote collaboration and cooperation among WCTRS, government administration and practitioners worldwide. It also aims to hold special sessions in other high-level international or regional conferences. Invitation to the Session G2 at WCTR 2019, Mumbai, India. We welcome your contribution to the session track SIG G2 at WCTR 2019 in Mumbai, India. For the aforementioned specific topics that this SIG intends to discuss intensively, a specific call for papers for the SIG G2 at the 15th World Conference on Transport Research, to be held in Mumbai, India on 26-31 May 2019, is available here. The SIG will be chaired by Prof. Guenter Emberger at Vienna University of Technology, Austria, and Prof. Yacan Wang at Beijing Jiaotong University, China, is the vice chair of this SIG. It is co-chaired by Mr. Takeru Shibayama at Vienna University of Technology, and by Prof. Shinya Hanaoka at Tokyo Institute of Technology. We welcome new members at any time. If you are interested in becoming a member, please contact Takeru Shibayama as detailed below. These objectives will be reviewed and expanded from time to time in light of SIG members’ interests. This SIG was launched at the 9th WCTR in Seoul, focusing on urban transport policy. Professor Tony May was chair of the SIG from its inception until 2007 when the role was taken on by Stephen Ison (Loughborough University, UK). The SIG hosted an inaugural conference in Leeds in July 2002, from which many papers were published in a special issue of Transport Policy. It sponsored three tracks and twelve sessions at the 10th World Conference in Istanbul, and published a special issue of selected papers from that conference in Transport Policy in 2006. The SIG sponsored a series of tracks and sessions at the 11th World Conference in Berkeley 2007 and as with Istanbul a special issue of selected papers was published in Transport Policy. The SIG sponsored a series of tracks and sessions at the 12th World Conference in Lisbon 2010 and selected papers formed a special issue of Transport Policy on Urban Transport Initiatives in 2012. In terms of the 13th World Conference 2013 there were 9 sessions which formed part of G3 and this comprised 42 presentations. In addition there were 9 posters as part of the Poster Session Programme. A special issue of Case Studies on Transport Policy on Urban Transport Policy was published in March 2015. Membership is open to any academic or practitioner with an interest in the subject area. Anyone interested in joining is invited to contact Stephen Ison or Maria Attard at the address below. Please do not hesitate to contact us at the address below if you have any suggestions for the effective running of this SIG. A key objective for the SIG is to provide to discuss and share ideas and research about the cultural and social influences on people’s movements through time and space. Transport planners need to better understand how people’s physical and virtual interactions with the transport system are socially, culturally and spatially differentiated. This is important because of the many social and economic consequences of being unable to access the goods, service and jobs one needs in daily life. The key issues we cover include accessibility, growing spatial and social inequalities, life-stage needs (childhood, parenthood, ageing, etc. ), impacts of new information and transport technologies, and the social and cultural factors affecting travel behavior change. We invite wide participation of a range of relevant disciplines, such as geography, transport and urban planning, public health, anthropology, urban studies and the political and social sciences. Though much of our work tends to be socio-spatial, we encourage quantitative and qualitative research approaches, new theoretical/conceptual contributions and innovative approaches and methods, on the proviso that such research agendas should eventually be able to have impact on policy. This SIG was officially established in October 2013 but has its origins in the Social and Equity Issues in Transport session track that was organized for the Rio WCTR conference in 2011. We held several session tracks under this theme, which attracted a broad range of high-quality papers from different international contexts. It became clear that there was a huge appetite at these events to discuss research covering a wide range of cultural and social issues associated with people’s interactions with the transport system. Our SIG was formed to provide an international forum to draw together the multi-disciplinary perspectives of researchers working to explain the role of transport in shaping people’s everyday lives and experiences. INTALInC is an international research network funded by the ESRC’s Global Research Challenge Fund and coordinated by the Institute of Transport Studies, at the University of Leeds (UK). It uses African and Asian case study research to promote urban transport systems that can meet the travel needs of low income populations in cities in the Global South. For more information and to sign up for the network newsletter at www.intalinc.wordpress.com or follow us on Twitter @INTALInC. Upcoming events: SIG G4 side event @ CODATU Conference November 4-5th Hyderabad, India: contact m.burke@griffith.ac.uk if you are planning on attending to join us for an informal get together. Membership of SIG G4 is open to any academic or practitioner who is a member of WCTRS. Please contact Karen Lucas or Helena Titheridge at the addresses below if you wish to join us. Please do not hesitate to contact me at the address below if you have any suggestions for the effective running of this SIG. The Special Interest Group (SIG) – “Disaster Resilience in Transport” was officially established in October, 2013. Actually, before this SIG was launched, there were lots of discussion, communication and various activities related to transport system resilience in disasters among transportation researchers. In the last WCTRS in Rio, we organized a special session on “Resilience in transport at natural disasters and emergencies” which attracted lots of researchers’ interests. In September 2013, in the EASTS (East Asia Society for Transportation Studies) conference in Taipei, WCTRS members held another special session named “Transport at natural disasters and emergencies”. In 2015, the SIG will hold a special session in Turkey to promote researches about “Resilience in transport”. The mission of this SIG group is to be a source and also a forum to discuss and share academic and practical researches about transportation system performance and resilience before, during and after abnormal conditions, such as natural disasters, large public activities and traffic accidents. We will seek for alternative ways and effective methods to make cities and regions resilient. The first research focus of this SIG is transportation system before, during and after natural disasters. In recent years in many part of the world, there have been quite a number of large scale natural disasters, such as earthquakes, tsunamis and flood. Therefore disaster resilience is becoming more and more important in designing and maintaining transport systems. Another research focus of this SIG is the influences of large public activities on transportation systems. When we hold large public activities, people gather and disperse in a short time. This characteristic makes transport and traffic systems show much different features comparing to normal time. To make and keep a safety and efficient transportation system during public activities is significant. Besides, traffic accidents is also a focus of this SIG. Traffic accident is also an abnormal issue in transportation system. Researches in this aspect would be valuable to build a safety, rapid and efficient transportation system. While different types of natural disasters, such as earthquakes, tsunamis and flood, damaged transportation systems seriously in recent years, very few researches have done. In the last WCTRS in Rio, we organized a special session on “Resilience in transport at natural disasters and emergencies” which attracted lots of researchers’ interests. The primary objective of the SIG is to promote researches about transport in disasters to improve transport system disaster prevention and mitigation ability. Via international workshop, group meeting, the SIG will gather outstanding and experienced transport experts to promote studies in this field. The second objective of the SIG is to hold special session in WCTRS conference and produce high-quality researches in this field. Lastly, the SIG aims to become a link between WCTRS and other organizations. On Friday 18 May 2018, members of SIG G5, together with members of SIGs H1 and H2, held a Joint Seminar on “Sustainable Transport Measures for Liveable Cities” at IIT Bombay. Please click here to view the Seminar Report. A special session on “Transport at natural disasters and emergencies” was held in WCTR Rio in July, 2013 and also another in Taipei Conference of EASTS (Eastern Asia Society for Transportation Studies) in September, 2013, both of which were organized by Professor Yoshi Hayashi, WCTRS President and also a member of this SIG. The selected papers from these special sessions are now prepared to be published in Transport Policy. We plan to hold two SIG seminars before WCTRS 2016 Shanghai. The first seminar will be held in 2014 in Beijing, China. The second one will be held in 2015 in India. We also expect more events as special sessions in related conferences such as EASTS, TRB, CODATU, etc. The Transport and Health G6 SIG is a new forum to facilitate discussion, communication, dissemination of evidence, co-production of future directions and various other activities related to Transport and Health research and practice, within the society and beyond. This SIG is specifically focused on transport impacts on health outcomes such as premature mortality and diseases. 1. 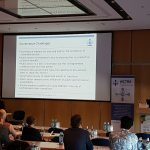 Promote research and improve practices related to transport and health in the urban context by way of international workshops, group meetings, teleconferences and continuous collaboration. The Transport and Health SIG will gather outstanding and experienced transport and health experts to promote cross-disciplinary and cross-sectoral studies and thinking. 2. Host dedicated sessions on transport and health during the WCTR conference to promote high-quality research in the field. 3. Establish a link between WCTRS and other established organisations and initiatives promoting transport and health. These include, but are not limited to, a working partnership with the Barcelona Institute for Global Health (ISGlobal)’s Urban Planning, Environment and Health Initiative (UPEH: see https://www.isglobal.org/-/urban-planning-environment-and-health-initiative?inheritRedirect=true) and the newly established Center for Advancing Research in Transportation Emissions, Energy and Health (CARTEEH: see https://www.carteeh.org/). 4. Foster collaboration between urban and transport planners and engineers, public health professionals, economic and environmental specialists with the intent of identifying funding opportunities and developing joint research proposals. 5. Provide a cross-disciplinary and cross-sector platform for research, policy and practice agenda setting at the intersection of transport and health. By 2050, nearly 70% of the world´s population will live in urban areas, representing the largest urban growth in human history. Cities have long been known to be society’s predominant engine of innovation and wealth creation, yet they are also the main source of pollution and disease. New cities are being created and many existing ones are expanding, all which need new transport systems or refitting of older ones. Transport and Health has been gaining research and policy attention in recent years, due to the increasing awareness of the relationships between transport and health, the scale and urgency of transport-related health issues and the evolution of and increasing cross-disciplinary methods, teams and ways of thinking. Cities, in particular, are burdened by a wide range of adverse transport-related exposures and associated health challenges. Cities also offer great opportunities for positive change. In cities, there are high levels of transport-related environmental exposures such as traffic-related air pollution, noise, temperature (heat islands) and lack of green space. These exposures have been associated with the adverse health effects of cardiovascular disease, respiratory insufficiency, cancer, obesity, diabetes and mental health issues of stress and anxiety thereby increasing morbidity and premature mortality in the population. Transport mode choice has also been found to impact physical activity levels in the population. The incidence and prevalence of chronic disease is exacerbated by a lack of physical activity indicative of the current transport design and planning process. Previous and ongoing work within our group, identifies and quantifies the scope of health impacts associated with transport planning and policy, suggesting that the most effective solutions are likely at the city level A transport design and planning process that takes health into consideration can play a key role in shaping the health of citizens in cities and hence their economic and social sustainability. Policy makers supported by cross-disciplinary teams have a unique opportunity to develop transport roadmaps that jointly achieve climate change, health, congestion and economic objectives in cities. The challenge, however, is to disseminate current knowledge on the health impacts of transport and advocate the integration of health into the transport agenda to a broad audience to influence the research, policy and real-world practice. The Transport and Health SIG would provide a critical pathway to facilitate collaboration and information sharing between existing and new WCTRS members and other professionals impacting population health. Furthermore, this SIG has the potential to push health in transport practices and agenda setting. We aim to create a community of practice among urban and transport planners, health professionals, economic and environmental specialists who are capable of identifying common language, metrics and criteria and solutions to reduce the adverse health impacts of urban transport and promote healthy transport options.